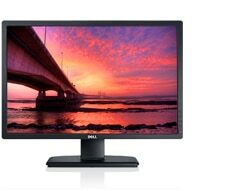 The large-screen 30'' Dell UltraSharp U3014 monitor offers outstanding clarity with high-performance calibration capability for graphics-intensive environments. Experience the latest technology with the Dell U2713H 27" high-performance monitor for consistent colors right out of the box. Precision colour across a wide viewing angle, plus remarkable screen performance and energy-efficiency in a 61cm (24”) monitor. 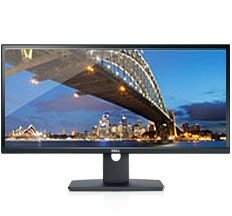 If razor-sharp images and vibrant colours are important to you, explore our range of Dell UltraSharp monitors. They’re ideal for graphic design, gaming, media creation or any area where colour and clarity is vital. 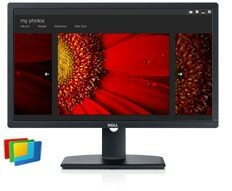 Immerse yourself in true-to-life colour with Dell UltraSharp monitors featuring PremierColor. Delivering outstanding colour accuracy, consistency and richness, PremierColor monitors are factory calibrated to match industry colour standards (AdobeRGB and sRGB) right out of the box. Or, adjust on-screen colours to suit your specific requirements. * If accurate colour is critical to you, PremierColor delivers the precision you demand. Dell UltraSharp monitors are winning praise from critics around the world. Awards include Germany’s 2012 IF Product Design, Japan’s Good Design award, numerous Editors’ Choice awards and more. These awards reflect our number one goal – to always impress and inspire you. 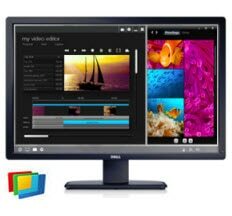 This one-stop software hub enables you to quickly access applications so you can easily customize your monitor settings. Enables you to select your optimal preset mode for specific applications. Tile your applications so you can see them all clearly at a single glance. Also use it to select your preferred desktop design layout. Enable PowerNap to help reduce power consumption by dimming the monitor or by putting it into sleep mode when not in use. With Dell's Premium Panel Guarantee, you‘ll receive a panel exchange even if a single pixel goes bright during your Limited Hardware Warranty* period.